Very friendly and helpful staff! 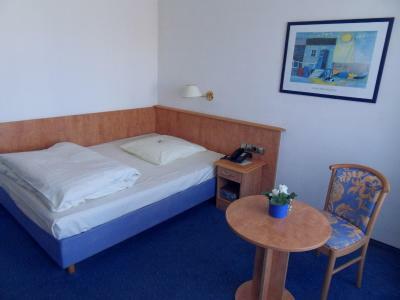 The room is ok, enough room, balcony with a nice view, the bathroom is small but clean and eye pleasing, comfy beds and a spacious parking lot. Overall, a good place for a couple of nights when you have business in town. The breakfast was delicious! Fresh rolls and the staff made eggs to order each morning. Very friendly staff. Great restaurant. Great value. Free parking, wifi, pool. It’s located close to the hospital. 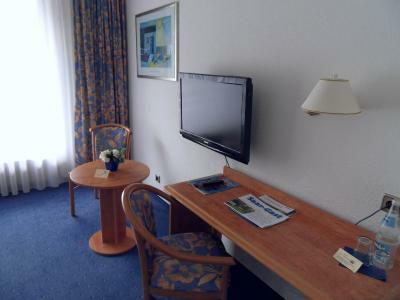 The rooms were spacious and clean and the staff was friendly. Very comfortable bed. Quiet room. Located next to the hospital (visiting family there). 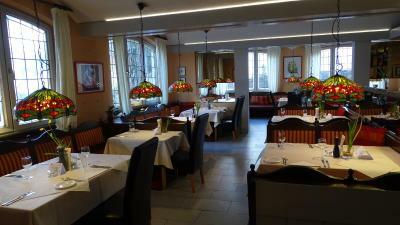 The room was fairly basic but clean and comfortable, location is good, the staff friendly and helpful and dinner was most enjoyable and represented good value. Bed was comfortable, but doona was too thick for the weather. 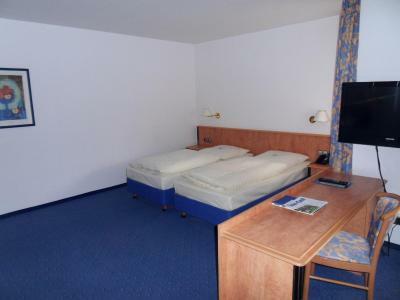 This is a nice, clean hotel, very close to the hospital. Personal is very friendly. Breakfast is very good. The hotel has a nice restaurant, good choice of dishes, great beer. The personnel was very friendly and helpful. I had to leave early next morning before breakfast starts and the lady at the desk offered me an early breakfast even though she didn't had to. The room was really clean and bed was comfortable. The hotel is located in quiet area in a beautiful small town of Homburg. The internet connection was good. I'm pretty happy with the hotel overall! 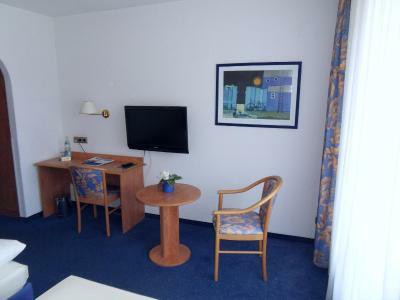 Hotel Stadt Homburg This rating is a reflection of how the property compares to the industry standard when it comes to price, facilities and services available. It's based on a self-evaluation by the property. Use this rating to help choose your stay! One of our best sellers in Homburg! 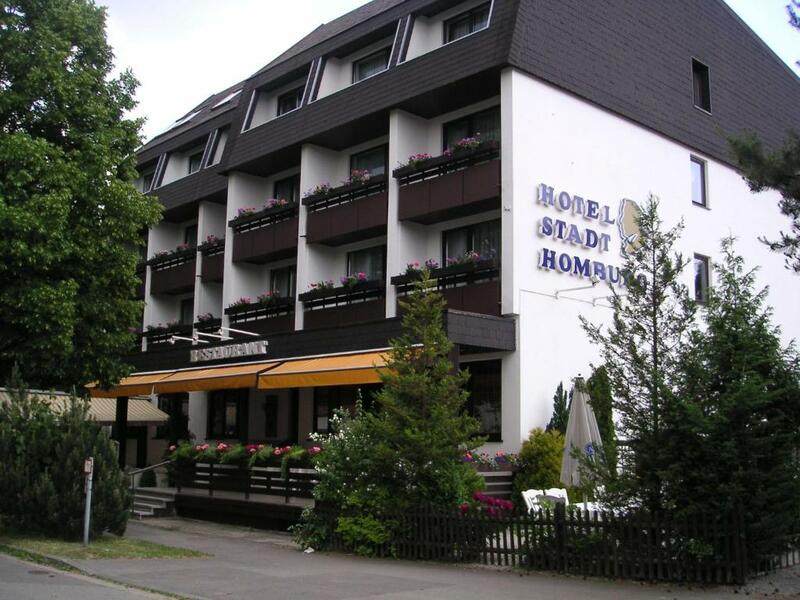 Offering a la carte restaurant and a 24-hour reception, Hotel Stadt Homburg is located in Homburg. Free Wi-Fi access is available. Nonsmoking rooms here will provide you with a flat-screen TV and a balcony. Featuring a bath or shower, private bathrooms also come with a hairdryer and towels. Extras include linen. At Hotel Stadt Homburg you will find a terrace and a bar. Other facilities offered include a shared lounge, a tour desk and luggage storage. An array of activities can be enjoyed on site or in the surroundings, including cycling and hiking. The property offers free parking. University Clinics are located 1,000 feet away. 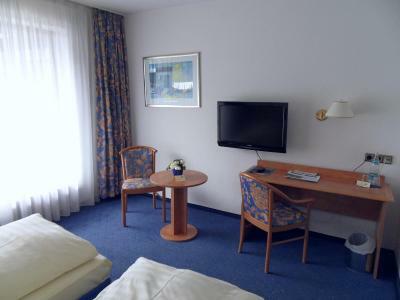 When would you like to stay at Hotel Stadt Homburg? House Rules Hotel Stadt Homburg takes special requests – add in the next step! Hotel Stadt Homburg accepts these cards and reserves the right to temporarily hold an amount prior to arrival. 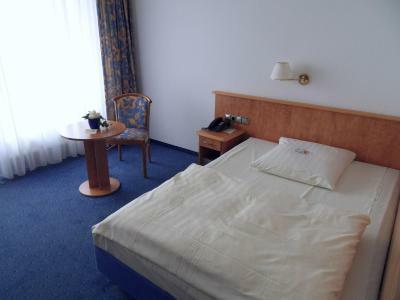 Please inform Hotel Stadt Homburg of your expected arrival time in advance. You can use the Special Requests box when booking, or contact the property directly using the contact details in your confirmation. 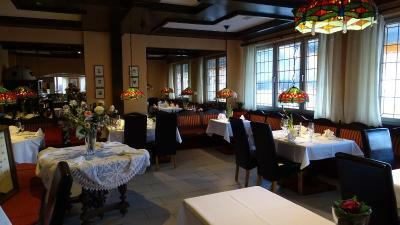 The food in the restaurant was somehow typical German. Excellent soup but the salad wasn't great at all. I have eaten much better goat cheese salads in other European countries. Given that the salad left me unsatisfied, I had an ice-cream as a dessert - again excellent which confirmed the experience I already had in several places all over Germany: they can make excellent soup and desserts but they can't do salads. 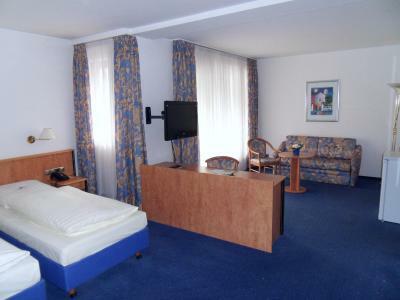 very nice room and very good place near the university. I couldnt eat anything off the evening menu. I am vegetarian. I was starving until breakfast. The tea and coffee tasted awful. ? Due to the mineral content of the water maybe. The breakfast is ok, decent, but could use a little level up, maybe a little more variety. The room has, unfortunately, carpet on the floor with some stains that could use some cleaning. The WiFi could have been more reliable. You can hear quite some noise from neighbouring rooms. That might change your experience. 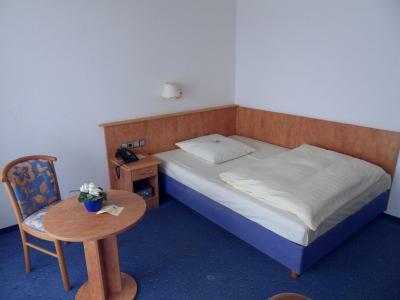 The rooms are a little too small for two and the beds are too narrow.